Verizon Wireless has announced the latest addition to their lineup of 4G-capable devices: the Novatel MiFi 5510L 3G/4G hotspot (AKA "Jetpack"). Like their other popular hotspots, the 5510L acts as a WiFi hotspot for up to 10 devices and features a built-in battery that lasts up to eight hours for on-the-go internet access. The 5510L also features capacitive buttons for quick access to certain functions, real-time data usage reports, WEP/WPA2 and VPN support. Will wallets be replaced with Smartphones? What two things do you carry with you everyday and don't leave home without? Most people would say their phones and wallets. So of course companies are looking to combine the two. 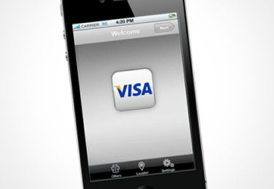 They’re looking at giving the smartphones the ability to make payments at store locations. No more looking through your wallet or purse(moms especially) for cash or credit cards. This technology is called, "near field communication," or NFC. Devices with NFC capability have a special chip that sends signals to other NFC-equipped devices within an inch or so. The short range transmission helps ensure security and streamlines the digital payment. All you have to do is touch the phone to the terminal and you just paid! The NFC payment software works just like a built-in smartphone app and can be loaded with multiple debit and credit cards. This payment information is typically stored in the cloud, and can be accessed on any device that uses near-field communication for payments. You have to enter a passcode to access your payment information and everything is saved on a server. Everything is transmitted securely. Digital wallets not only save you time at checkout but, it can be safer than the traditional credit cards. The sneaky thieves won’t be able to use it to make payments without your passcode. Android devices are currently the guinea pigs, although there are many smartphones and tablets that offer this feature. Google Wallet has emerged as the frontrunner of NFC software, and has already reached agreements with more than two dozen merchants to carry the NFC terminals in their stores. Other companies are looking to get involved too. It's most likely going to be a few years until it is all worked out completely, so hang on to those wallets a little longer. The end is near! AT&T is constantly fighting to improve bandwidth on its overcrowded network. To combat problematic issues with the network AT&T is testing Small Cells. The small cell test increased traffic by 17 percent and boosted outdoor areas to nearly 100 percent usability. In some areas the Small Cells gave the area almost 100 percent coverage and virtually eliminated dropped calls. AT&T did not, however, specify what happened to download speeds after small cells added all those users to the network. Procuring additional spectrum bands is one way networks expand capacity, but in places with high population densities or difficult geographies, coverage can still be an issue. For this, networks like AT&T, Sprint and Verizon are beginning to deploy small cells. Small cells aren’t just one piece of hardware technology, but rather a collective term for cellular coverage solutions that target smaller geographical areas and numbers of people. A device that’s 250 mW, for example — which is fairly low power — can support up to 32 users and cover the area of a large building. But small cells are available at a number of power levels, so a 5 W one could support 200 users and cover hundreds of square meters, or a 1 W one could be targeted at 10 meters of subway entrance and cover 64 to 128 concurrent users. A traditional cell tower generally covers a 1.5 km area (although in somewhere flat and rural, like the desert, a tower could cover a 10 km area) and ideally may only have 80 to 90 people on the network at one time. More than that, and bandwidth starts coming down, calls start getting dropped, and users get frustrated. All the major carriers, including AT&T, are rolling out their small cell technologies over the next few years. Unlike the seemingly random roll out of 3G and then 4G LTE networks across the nation, small cells should start popping up in areas with the most problematic coverage first. Last year Softbank announced they’d be purchasing 70 percent of Sprint’s stock for $20.1 billion. Softbank is based in Japan and they planned to build a U.S. subsidiary called “New Sprint”, which would invest $3.1 billion in a convertible bond with a 7 year term and 1.0% coupon rate. The Justice department has contacted the FCC requesting more time so they can review the planned deal. They have a concern about national security and knowing they’ll own 70% of the nation's third biggest wireless carrier raises potential risks. According to Broadband reports Sprint says "This is a routine request when working with the CFIUS agencies regarding national security," and "We continue to anticipate that the transaction will be completed in mid-2013." Apple TV was the Steve Jobs’ vision for his company’s future. He believed that the integration of software and hardware that he had created with phones and computers would include your tv as well. So when Apple came out with Apple TV it seemed like his dream became a reality. And Apple TV has by and large kept their promise with a little square that plugs into your tv and let your surf the web, watch streaming movies, listen to your ITunes music etc. But now they have added a new dimension. A brand new update has made it so that Apple TV user can use a bluetooth keyboard, and new music software that lets you stream from your ICloud. It also lets you see the songs coming after your current listen. 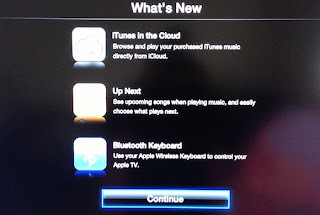 It beefs up your AirPlay app so that you can hear stereo audio while you watch movies. Overall it gives you a more complete package that is much closer to some of the other TV boxes that you can get. Apple has not yet reached the zenith of integrating your electronics all into one company but this update lets you know that they are using the entire bag of tricks to make you a life long Apple user. A few weeks ago we mentioned that T-Mobile was only a few weeks from launching 4G LTE in Las Vegas. 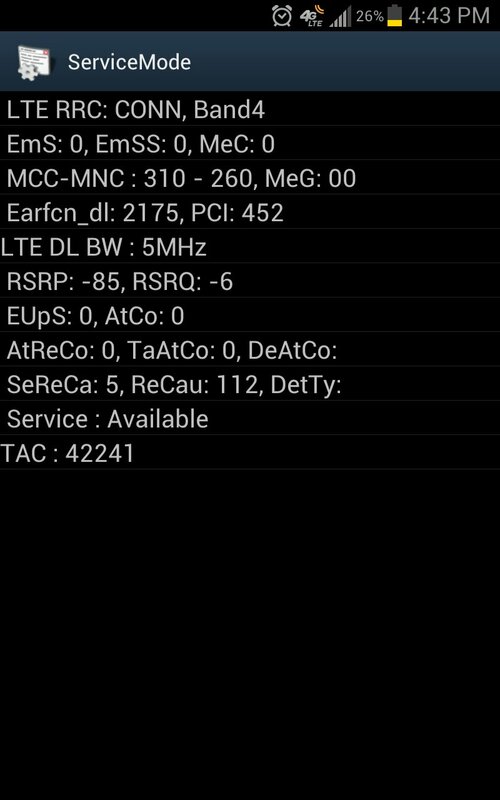 Forum members over at XDA Developers are now reporting to see 4G LTE in and around Las Vegas. However, so far the speed tests aren’t that impressive and show 10Mbps download and 5Mbps upload, which is slower than Verizon, AT&T and Sprint LTE. In fact, these speeds are still slower than T-Mobiles 4G HSPA+ network in some areas! There is speculation that the speed isn’t there because they’re only using a 5x5Mhz configuration. Insiders say that T-Mobile has a lot of other sites 4G LTE ready and they’re ready to launch a variety of LTE markets in quick succession soon. For those of you keeping track of LTE market totals Verizon stands at 476 cities, AT&T at 175 cities, Sprint at 70 cities and T-Mobile is finally on the board with 1 city. BOSTON (BUSINESS WIRE), January 28, 2013 - Today, Sprint (NYSE:S) is expanding 4G LTE service in the Bay State and bringing faster speeds for uploading photos, surfing the Web and streaming videos to customers in Boston and Framingham, Mass. Sprint continues to show significant progress in the buildout of its all-new 4G LTE network – reaching more customers every day. In addition to Boston and Framingham, today Sprint launched 4G LTE in Austin, Texas; Bryan/College Station, Texas; Columbia, Tenn.; Emporia, Kan.; Fort Wayne, Ind. ; Gettysburg, Pa.; and Western Puerto Rico (including Aguadilla, Isabela, Cabo Rojo, Mayagüez). “Now our customers can keep track of their favorite hockey, basketball and college sports teams using 4G LTE on their Sprint smartphones, tablets and mobile hotspots,” said Karen Paletta, regional vice president-Consumer Sales, Sprint. “The demand for smartphones continues to grow, and a strong network is more important than ever for our wireless users.” Additionally, Boston area customers can expect a better 3G experience thanks to continual upgrades being made in the area, resulting in clearer voice quality, more reliable in-building coverage and fewer dropped and blocked calls. It looks like iOS 6.1 on an iPhone 5 is showing some early signs of dramatically improved battery life. Look at the image above. After 41 minutes of usage and 2 hrs 18 minutes of standby time, still at 100%. Battery times are very much improved. VANCOUVER, British Columbia-- (All amounts included are in U.S. dollars unless otherwise stated.) Sierra Wireless, Inc. (NASDAQ: SWIR) (TSX: SW) today announced it has executed a definitive agreement for the sale of substantially all of the assets and operations related to its AirCard® business to NETGEAR®, Inc. (NASDAQGM: NTGR) for $138 million in cash plus approximately $6.5 million in assumed liabilities as of December 31, 2012. NETGEAR is a global networking company that delivers innovative products to consumers, businesses, and service providers. Sierra Wireless expects to realize net cash proceeds of approximately $100 million from the asset sale, after related taxes, expenses, and funds held in escrow. The transaction is expected to close in March 2013, subject to customary closing conditions. CUPERTINO, California-January 28, 2013-Apple® today updated iOS to version 6.1, adding LTE capabilities to 36 additional iPhone® carriers and 23 additional iPad® carriers around the world, so even more iPhone 5, iPad mini and iPad* with Retina® display users can experience ultrafast wireless performance** to browse, download and stream content at blazing fast speeds. To date, iOS users have uploaded over nine billion photos to Photo Stream, sent over 450 billion iMessages and received over four trillion notifications.